Charles Fox here, hittin you with another fresh dose of Electronic Frequencies! I’m currently in the mix and on the air @ http://UCLAradio.com so get over there and click Listen Live for a ladle of love. For the second half of tonight’s show, we’ve got DJ Dory with a live-recording from the Compound in San Francisco. She and Desyn Masiello melted hearts, minds, and makeup that night for “Gallop Sessions 04″ thanks to Listed Productions. Dory’s set was truly one of the highlights of the 2010 Love Fest weekend. Head over to Dory’s homepage and facebook to learn more and stay in the know! 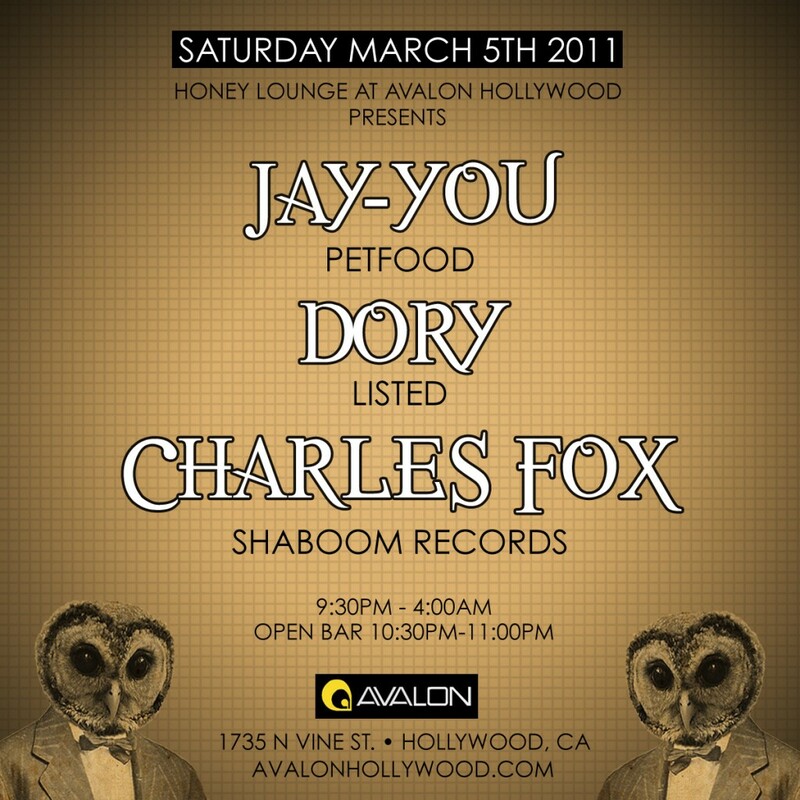 Also on a need to know: Dory and I will be playing the Honey Lounge with Jay-You inside of Avalon March 5th 2011 and would love your support! Check out the flyer below and sign up to RSVP! One Response to "EF003 – February 22, 2011"